I have a small track of 87.9 acres. Originally I was not a believer in food plots but my buddy talked me into putting one in so I put in the Imperial Whitetail Clover first. 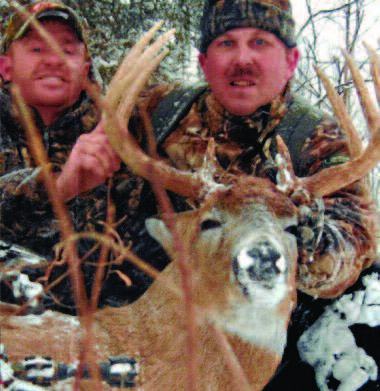 That year I took one of my nicest bucks ever. That made me a believer. Now I have about eight acres of food plots planted on my land. I have seen an increase in the deer I hold on my land. Every year I see three or four big bucks on my land. I have seen an increase in the amount of does using my food plots and as we all know they bring in the bucks. In the past 7 years I have taken four bucks in the 130 to 140 range. I can’t believe the increase in the size of the deer I see every year. I am truly hooked on food plots and Whitetail Institute products. 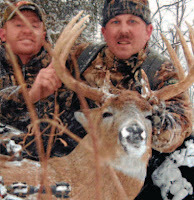 Whitetail Institute really can make a hunters dreams come true.